Upgrade to new version 6.0 for FREE! Over the past months, we have been testing the beta version of the next Justinmind version, and it is only fair to say that we’ve evolved. We’ve evolved a lot. This incredible project was not just about looking better, but instead giving our customers a better, more powerful tool to create and bring to life their best and biggest ideas yet. 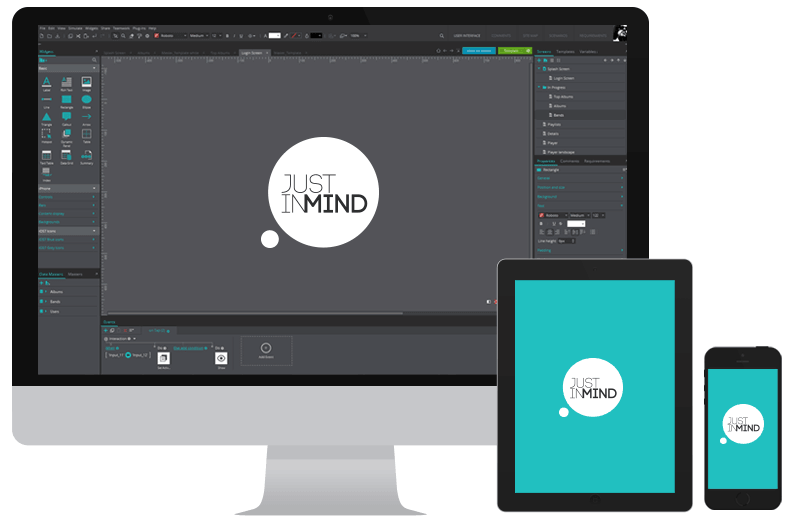 Justinmind 6.0 is a reinvention/optimization of many core features and the addition of amazing new features, all incorporated into a great design and experience. In a few words: expect powerful, beautiful and simple. 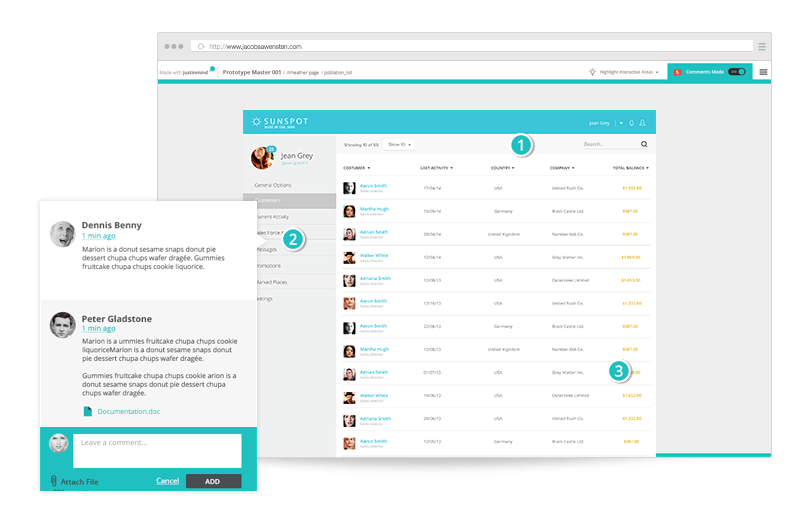 We’ve redesigned the entire interface improving a lot of usability issues. As you can see, the most obvious change is the dark theme. We’ve found that this kind of dark interfaces are easy on the eyes and make you focus on your designs instead of the interface components. 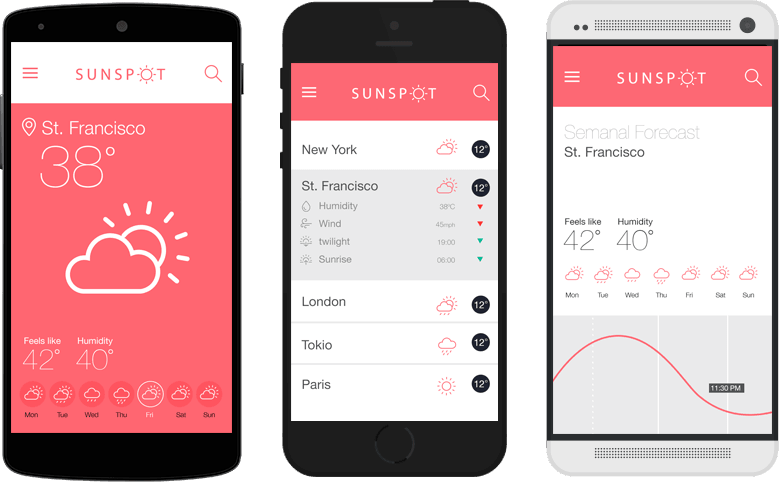 Navigate through your prototype and experience it on a real device. Use our mobile apps to experience your prototype live from any iPhone, iPad or Android device, it will look, work and feel just like the real thing. All libraries management has been located in a dedicated view. From there you can add or remove libraries to your widgets palette. Each prototype will save the libraries that have been used so next time you open it, you’ll see the libraries you last used on that prototype. The way feedback is introduced to your prototypes has been redesigned making it easier for your clients to use and giving it a more professional appearance. It looks great, it makes you look even better. A complete requirements management view has been included so you can track all your project’s changes and link that to the visuals. 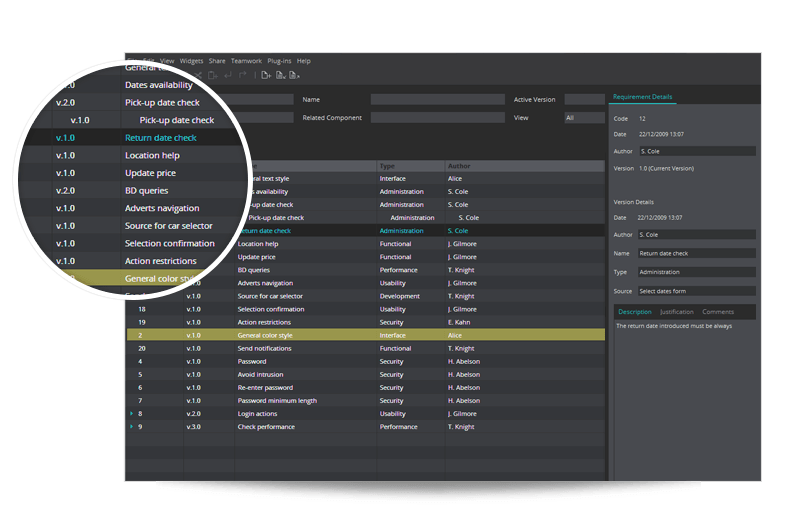 Versioning and export/import to CSV are just some of the features of this new module. And the best of all, if you’re already a client you have this upgrade for FREE! Just download it and insert your key. Some users which names started with ‘x’ where having problems with the Export to HTML option. Well, no more. Wow! You really got this far reading? Good for you!